Ferrari factory original 2000 Ferrari Postcard of Rubens Barichello on Ferrari F1-2000. 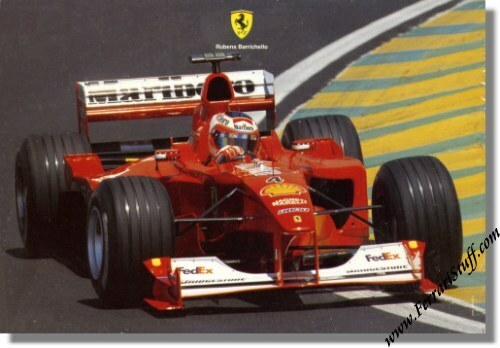 It shows Rubens Barichello at work in his 2000 Ferrari F1-2000. Ferrari Print Number 1587/00, issued in 2000, printed by Golinelli, Italy.